Sounds like the Bumblee spinoff movie will take the Transformers back to where they started, when neon flowed like wine and Mark Wahlberg was just the younger brother of one of the New Kids on the Block. 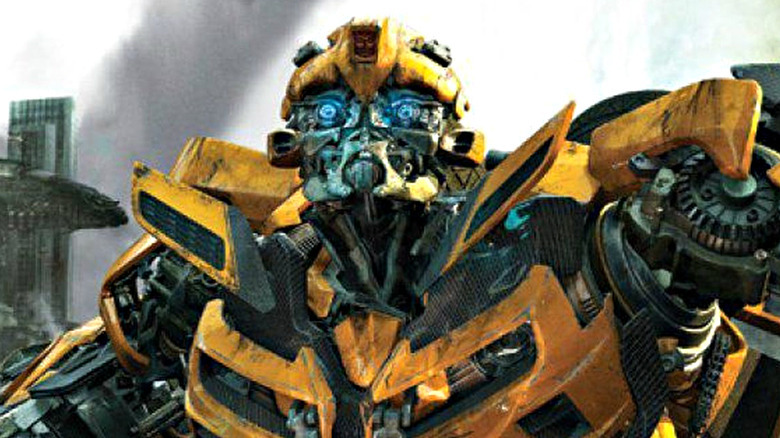 The article, which appeared in print, also said that the Bumblebee movie will be geared towards younger audiences, and it will feature fewer robots than the other Transformers movies. Clearly, this is Bumblebee's show. However, the movie will be the first in an expanded Transformers movie universe. Deadline reports that Travis Knight (Kubo and the Two Strings) will direct the flick, and Paramount is planning to release up to a dozen Transformers films in the coming years. Bumblebee is expected to hit theaters in June 2018. But before that, we've still got The Last Knight on the horizon. It'll arrive in theaters June 21, and no, it isn't actually three hours long. While we prepare to roll out, check out the most terrible things the Transformers have ever done.